why do my laces keep coming undone? 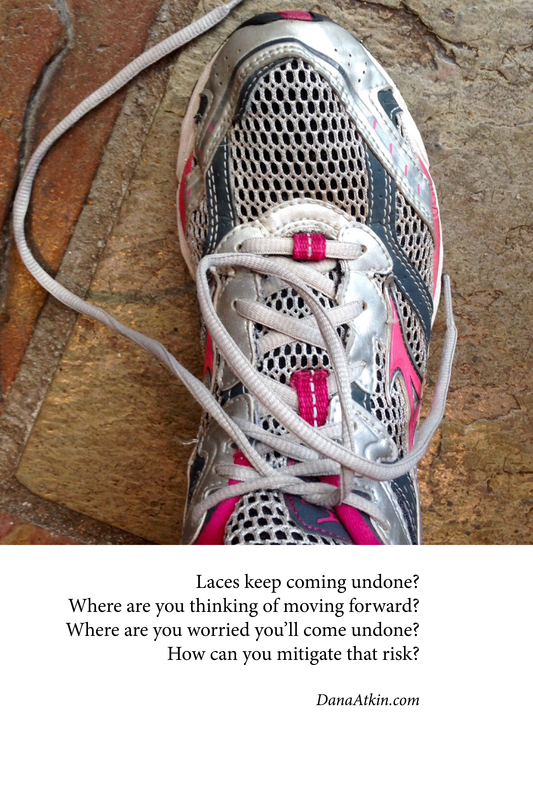 Laces keep coming undone on your Right Shoe, for no particular reason? Have you considered that they may be trying to tell you something about your thoughts and emotions? Think about where you are considering “stepping out” or “moving forward” in life and then think about where the fear is – where are you worried that you might “come undone”?. Now, what can you do to mitigate that risk? What will make you feel secure in moving forward with that idea?